TV Channels Dropping out or Pixelating? Call TV Magic Lyneham Today! Hi, I'm Carl your local TV Magic Technician here in Lyneham and I specialise in all your TV Antenna needs. One of the most common problems to occur for customers are reception problems and that's because there are so many things that can affect your TV Reception including location, faulty equipment, antenna problems and more. If you are finding that your antenna has a problem, or, if there is just something wrong with your TV and you don't know what, then TV Magic can get you back on track and watching some amazing, clear channels in no-time. It simply starts with a friendly call where I will organise a convenient time to come out, assess the problem and recommend a solution for you. Easy! 2) Take your time to do a good job, invest in quality equipment and charge a fair amount for a professional job that will not need fixing or replacing for a long time. At TV Magic, I tend to opt for number two; the quality solution. Why do I think that a quality job is more important than lots of fast, cheap jobs? Because, I want my customers to not only be impressed and satisfied by the outcome they recieve, but I also want to save them that money which they would've spent on having dodgy job repaired or redone a few years down the track. 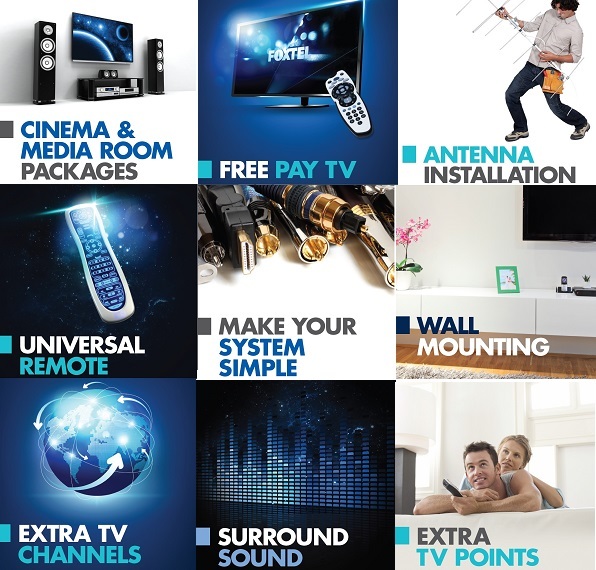 If you want a reliable, quality solution to your reception problems today, then you need a TV Magic solution, right here in Lyneham!